Jammu and Kashmir, India’s one of the most picturesque state lies on the peaks of Himalayan Ranges with varying topography and culture. Jammu was the stronghold of Hindu Dogra kings and abounds with popular temples and secluded forest retreats. Kashmir’s capital city, Srinagar offers delightful holidays on the lakes with their shikaras and houseboats. Kashmir,the upper most alpine region of North India’s the ethereal cold desert that goes by names such as “The Last Shangrila”, Moonscape, Little Tibet and so on. Ladakh is an endearing abode of scenic charisma and diverse adventure activities like rafting, jeep safari, water sports and much more. Nestling in the lap of the dazzling, snow-capped Himalayas, the Kashmir valley is undoubtedly a jewel in India’s crown. An inspiration for so much art, music and poetry, Kashmir is also honeymooners’ paradise, a nature lover’s wonderland and a shopper’s dream come true. and once you have visited Kashmir,, you will agree that what began as a dream, lives on as an unforgettable experience. 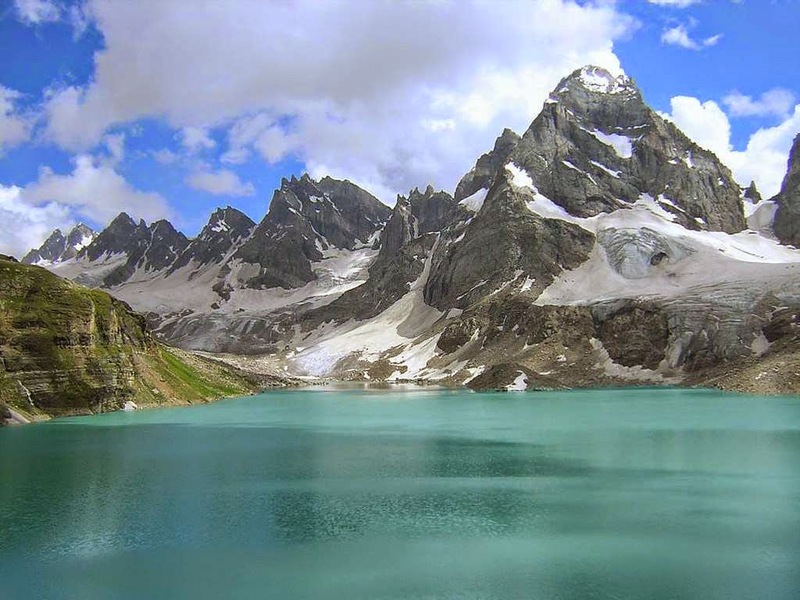 Set like a jeweled crown on the map of India, Kashmir is a multi-faceted diamond, changing its hues with the seasons – always extravagantly beautiful. Two major Himalayan ranges, the Great Himalayan Range and the Pir Panjal, surround the landscape from the north and south respectively. They are the source of great rivers, which flow down into the valleys, forested with orchards and decorated by lily-laden lakes. The Mughals aptly called Kashmir ‘Paradise on Earth’ where they journeyed across the hot plains of India, to the valley’s cool environs in summer. Here they laid, with great love and care, Srinagar’s many formal, waterfront gardens, now collectively known as the Mughal Gardens. Anecdotes of four and five centuries ago describe their love for these gardens, and the rivalries that centered around their ownership. They also patronized the development of art & craft among the people of Kashmir, leaving behind a heritage of exquisite artisanship among these people and making the handicrafts of the land prized gifts all over the world.